"I am a supporter of the Women's Media Center ... I believe in their ongoing mission and advocacy for women and girls worldwide to be more visible and powerful through a variety of important programs and initiatives." AllThingsDigitalMarketing will be covering the red carpet for The 2012 Women's Media Center Awards. The event will be held in New York City at Guastavino's on November 13, 2012. Red carpet event coverage will be posted on the AllThingsDigitalMarketing.com Web site and AllThingsDigitalMarketing blog at http://www.myblog.allthingsdigitalmarketing.com. Stay tuned for the updated video of the event coverage. The article will also be published on Examiner.com by Top Marketing and PR Examiner and AllThingsDigitalMarketing founder, Gloria Buono-Daly. For additional information, including the prestigious list of honorees, watch the video below. Here is the link to The Women's Media Center 2012 Awards event coverage report. The contents of the blog also includes links to images by photographer Cindy Ord of Getty Images and links from my Facebook Album of the event. Enjoy! WMC Honoree, Pat Mitchell was the first woman Presiden and CEO of PBS and was the first woman to launch, produce and host her own nationally syndicated program "Woman to Woman"
Sounds like a great event to attend. Look forward to seeing your next video. I will be reading your blog for updates of this event. I'm glad to see how far women have came in just a few decades. 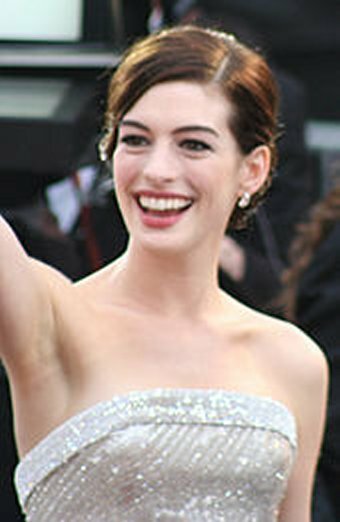 I’m a big fan of Ann Hathaway even since she was in Princess Diaries. She is a great actress. Her way of handling her characters on screen has grown a lot. I like the way you incorporate the photos and announcement video into this blog. Very interesting and original. No one else does it this way. I didn't realize how amazing Pat Mitchell is. So good that she is recognized and has a lifetime award named after her.